Margot Fonteyn and Rudolf Nureyev...perhaps the greatest partnership on the history of ballet. For the first time, their most acclaimed performance, which have thrilled audiences worldwide have been captured on one DVD. 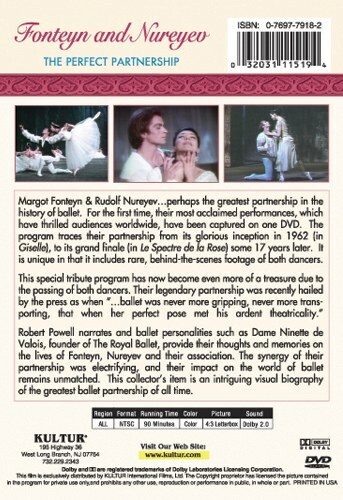 The program traces their partnership from its glorious inception in 1962 (in Giselle at the Covent Garden) to its grand finale some 17 years later. It is unique in that it includes rare, behind-the-scenes footage of both dancers.